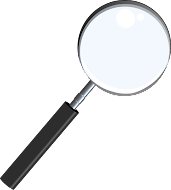 Carnegie: Magic Detective: Who Was Henry Ridgely Evans? Who Was Henry Ridgely Evans? Henry Ridgely Evans is a name I have come across many times over the years. I never knew who he was really, but I always recognized the name. While doing research on another magician earlier in the year I discovered that Evans lived and worked in Washington D.C.. Because this is essentially the area where I live, I decided to see what else I could find out about him. H. Ridgely Evans was born in Pennsylvania in 1861. Though born in Penn. it seems he was raised in Georgetown and Washington D.C.. He came from a large family of six other siblings. In 1878, according to Evans himself, he attended a performance at the Old National Theatre presented by Robert Heller. This performance so captivated the young man that he instantly became enthralled with magic. Or as we say in the profession, 'he was bitten by the bug'. A few months later in March of 1879, Evans sat in the audience at Ford's Theatre for the first appearance of Harry Kellar in the Nation's Capital. H. Ridgely Evans eventually went to school intending to become a lawyer, but at some point changed professions and became a journalist. His ability to write and record the news was certainly a benefit to us in the magic profession. Evans became one of our early magic historians before that kind of thing became popular. He was a prolific writer of both books on magic and magazine articles. His most famous book is probably 'The Old and the New Magic' which was published in 1906. But he also wrote none magic books. I've discovered there is a much sought after book called 'Old Georgetown On The Potomac' that he wrote in 1933. There is a copy available right now on Amazon.com for $1,245.00. In 1892, he married a woman named Florence. They had no children and lived at 1430 V St. NW. This was in 1900. Later in 1930, he and Florence were again living in DC and this time in an apartment building on Eye St. NW. I can find no record of Henry living in Baltimore, at least prior to 1930, though some sources claim he worked for a number of Baltimore Newspapers. 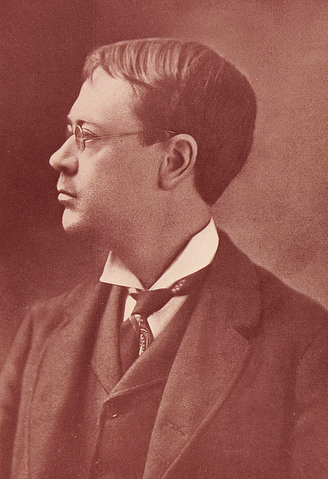 When Harry Kellar was touring with Paul Valendon, it was H. Ridgely Evans who wrote an article for Stanyon's MAGIC that said his prediction for the successor to Kellar would be THURSTON! Imagine that. Valendon was still touring with Kellar and here Evans throws his vote towards Thurston, who as far as we know wasn't even in the running. History proved Evans correct as Thurston indeed was the successor. Houdini had an interesting connection to Evans. 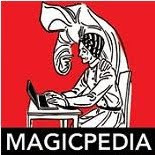 In the Christopher biography 'Houdini-The Untold Story' it describes an incident where Houdini slams Evans in The Conjurers Monthly Magazine for his new book 'The Old and the New Magic'. Apparently, Evans reprinted a description or expose on how the handcuff escape was done and it more than irked Houdini. But on page 210, of the HOUDINI!!! biography by Kenneth Silverman, he describes Houdini as having compiled a history of magic that he called "History Makers in the World of Magic" and gave it to Evans who was writing a similar book. I suppose this was to be a combined project as Houdini remained involved in the editing part of the book. This event would have taken place around 1916-1917. I don't honestly know if it was published. The next magic history book that Evans published was 'The History of Conjuring and Magic' which he published in 1928. The book does not include Houdini's name as a co-author. A side note, David Price who wrote 'MAGIC-A Pictorial History of Conjurers in the Theatre' refers often to Evans's writings. I did some more research and found two sources that said Evans died at Union Memorial Hospital in Baltimore, Maryland. Thanks Joe. I corrected the information above with your new discovery. Fun to find your blog post. I appreciate all the information. I came upon Evans some years ago when researching Agustin de Iturbide y Green, his childhood friend, whom he mentions in OLD GEORGETOWN ON THE POTOMAC and ART AND MAGIC. My novel, The Last Prince of the Mexican Empire, is based on the true story of Iturbide y Green. It does not include, Evans, however, as the action takes place in Mexico, before Iturbide y Green arrived in Georgetown. Iturbide used to be spelled Yturbide-- I mention that in case anyone tries to look it up and gets confused. Oops, the book was ADVENTURES IN MAGIC, 1927. Are you aware that Houdini was friends with Henry Evans - Evanion born 1832 in London. I am curious if there is some connection to H R Evans of Baltimore to this other Henry Evans. It is been some time since your post and would love to know if you discovered anything more. Hi Janet. Yes, I am aware of Evanion, though to be honest I always heard of him referred to as 'Evanion' and didn't realize his actual name was Henry Evans. I plan to write about Evanion in the future, but have not yet gotten to it. Tell me, are you related as I see your last name is Evans. I am not aware that the two Henrys were related, but I'll look into it. They both clearly enjoyed magic history. I'm not sure if you saw this article, but I did write about Evanion also.